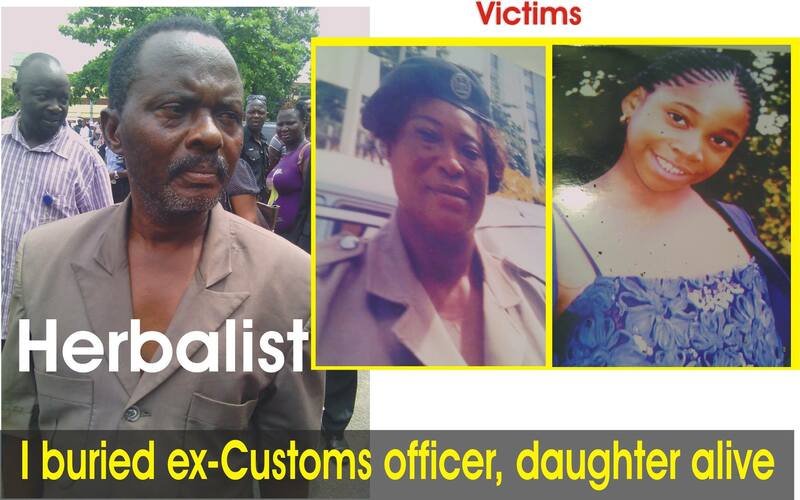 How Herbalist buried Nigerian ex-Customs officer & daughter alive. LAGOS— Emotions ran high, yesterday, at the Lagos State Police Command, Ikeja, following the startling confession of a 64-year‑old herbalist, on how he buried a 68-year‑old retired Customs officer and her 10-year‑old adopted daughter alive in a shallow grave behind his shrine in Ajuwon, Ogun State. The suspect identified as Alhaji Olatunji Azeez, who was paraded by the command’s boss, Umar Manko, showed no sign of remorse as he said he committed the act in order to prevent the victim from demanding N9 million he used to prepare concoction for her. Trouble started for the retired Customs officer, one Mrs Angela Kerry, who resided at New Oko‑Oba area of Lagos, following her inability to give birth. In her search for possible solution, she was reportedly introduced to the suspect who confessed to have carried out series of rituals and also prepared concoctions for her to no avail. Apparently disappointed, Kerry was said to have demanded the refund of N9 million earlier collected from her by the herbalist last month, consequent upon which he invited her to his shrine at 9, Wadoye Street, Ajuwon to collect the money. Unknown to Kerry, who went in company of her adopted daughter, the herbalist had a sinister motive up his sleeves. Narrating how he buried both mother and child alive, the suspect who claimed to have three wives and five children said: “She provoked me to anger. I did what I did because I considered her an enemy who was out to kill me if I did not act fast. “It all started five years ago when she was introduced to me by her friend, one Lizzy. She was attacked spiritually and I helped her out. She came again over a similar attack and I also prepared some concoction which saved her. She told me that her family members were after her and I said she needed to fortify herself. “Three years ago, she revealed that she has not been able to give birth and had not been pregnant for one day. I told her it would be impossible since she had reached menopause but she objected, saying many prophets had told her God could do it. “Along the line, she said she wanted to sell her property at Omole, that she wanted to travel abroad to be away from her family. After selling the property, I discovered so many pastors started coming around here to get a share from the money realised. In fact she told me that she had paid N15 million to some pastors already. “Then I told myself that if I did not act fast, these people will collect everything from her. I had to tell her to bring N9 million to prepare some concoction for her pregnancy, even though I knew it was impossible for her to get pregnant. “She gave me N9 million. But after nine months, she came back saying nothing happened and demanded a refund. That was where trouble started. I managed to pay her N 3.5 million and begged her to be patient for the balance. “Then she charged into my temple one Friday demanding that she should be paid that day. I told her I won’t pay her and that if she had gone to the hospital and the treatment failed could she have demanded a refund. She threatened to deal with me if I did not pay her, saying she would show me she was in the force. “I told myself that this is war because I remembered she once showed me a gun at her apartment. I knew it was not a mere threat because she said she would kill me and nothing would happen. That threat provoked me. I knew that when two people are fighting, the first to attack will emerge winner. “So, I decided to act fast before she tarnished my image. I pacified her to come back next day for the money. When leaving, I told her not to come with the daughter. “After she left, I told myself I needed to act fast. I went to a building at the back of my shrine where I dug a hole. I spread a mat on the hole and laid a white cloth on it, exactly the way it looks in my shrine. “When she came next day, I told her to go inside the building that we needed to pray before we talk about the money. She asked if the prayer was for the pregnancy and I told her it was for fortification. “I warned her not to take her daughter along but she refused. I did not argue any further because I did not want my plan to fail. “On getting inside the building, I asked her to stand on the white cloth and immediately she did, she fell inside the hole and landed on her buttocks. All I heard when she fell was yeh! When she fell, I said I have seen the end of my enemy and I have gained victory. “The daughter did not say a word. She just stood watching. I had to cover the hole with over 40 buckets of sand. Describing the act as callous, the command boss explained that after committing the crime, the suspect took her Toyota Camry vehicle to a dealer’s workshop to sell. But the bubble burst when the victim’s relatives reported at New Oko‑Oba Police Station that Mrs Kerry was missing. The policemen, he said, traced the victim’s car to a dealer’s workshop where two persons were arrested, adding that their confessional statement led to the suspect’s arrest. “We have been able to recover the decomposed bodies and the victim’s travelling bag containing her personal effects and that of her daughter from the shallow grave he buried them in,” Manko said. 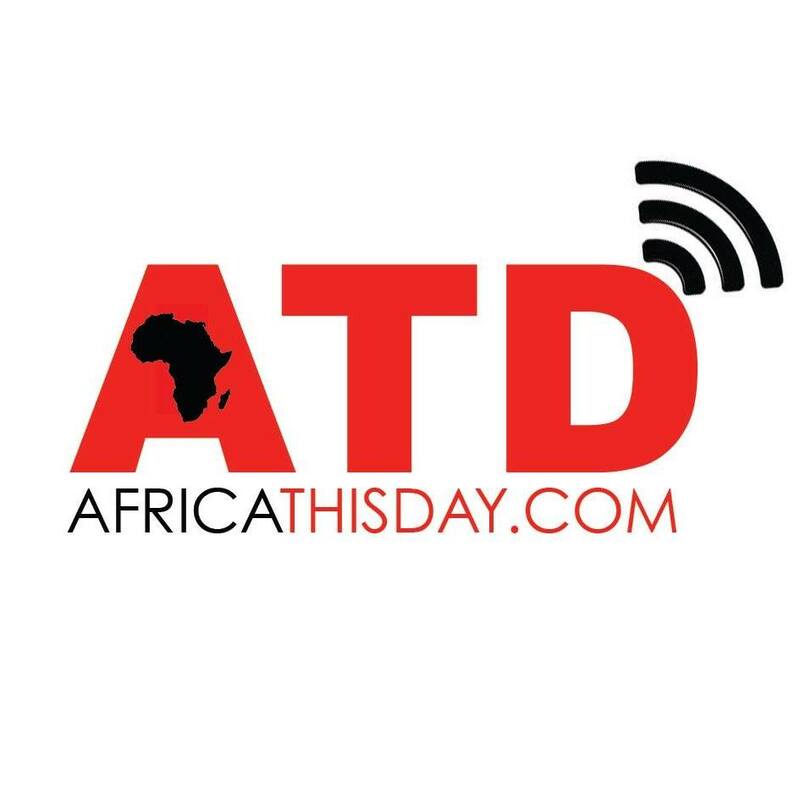 This entry was posted in Uncategorized and tagged Alhaji Olatunji Azeez, Angela Kerry, daughter alive., Herbalist buried Nigerian ex-Customs officer, Lagos State Police Command. EXPOSED: HOW THE ‘WEST’ IS WASTING NIGERIA.BOKO HARAM’S WESTERN AMMUNITIONS SUPPLIER REVEALED.